Let's work together to banish this term—"online brochure”—from the marketing lexicon. It sets such a low bar for what should be your strongest marketing asset. Yes, a law, consulting, accounting or other professional services firm website should look great and function flawlessly, but that's table stakes. Done right, your firm's website should be the fuel powering a marketing engine that tells a compelling story, attracts your ideal clients, generate leads, and turn leads into new business. Best of all, by incorporating the right mix of marketing automation technology, your firm's website can work for you while you’re busy working for your clients. 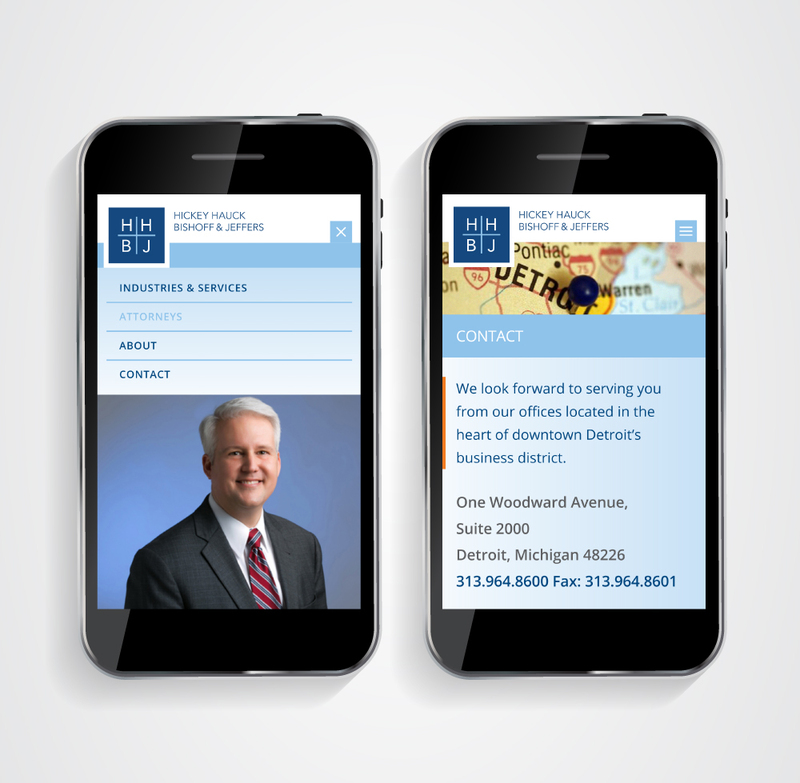 For professional services firms big and small, we design websites that drive marketing results. The 5 Essential Elements of a Law Firm Website Homepage, to learn the secrets to building a high performing website that attracts your ideal audience, turns traffic into leads, and leads into new business. Congrats! You’re one step closer to having a high performing website. Your free guide is on its way to you via email. We’d love to hear what you think about it, and we are here to answer any marketing or website-related questions you may have. Please contact Jay Harrington at Jay@hcommunications.biz or 313-432-0287. We begin each website project by helping our clients cast a clear vision based on the direction they hope to take their firm and the ideal clients they hope to attract. This vision unfolds in a story told through the website. But it’s not the story of the firm itself—it’s one that positions the firm’s ideal clients as the heroes of the story. 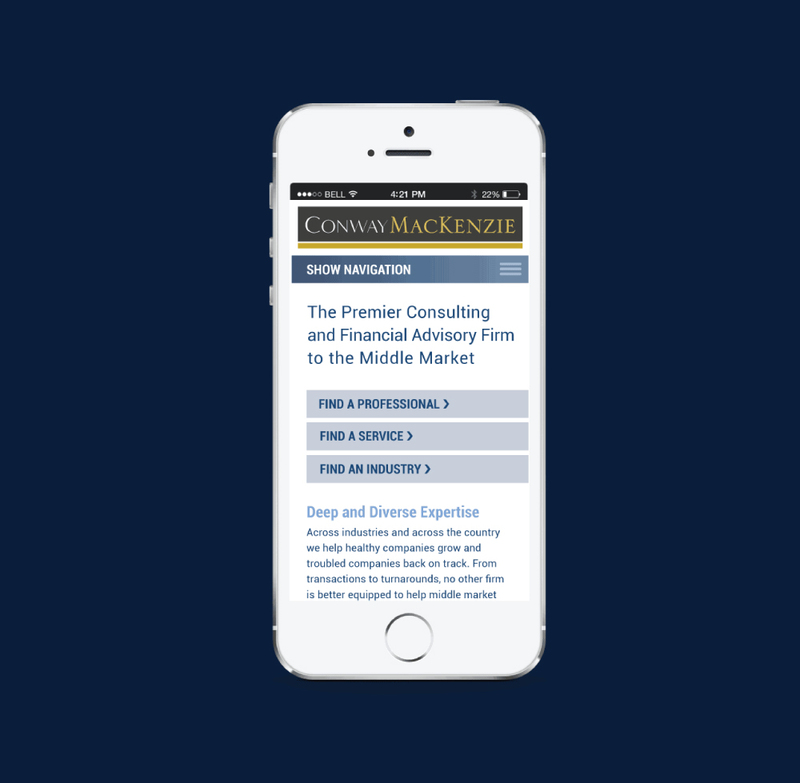 The firm’s role is to play “Guide” or “Trusted Advisor” to the “Hero/Client” (think Yoda to Luke Skywalker in Star Wars), and this must come through on your website. Talk about your clients’ challenges more than your own accolades. Don’t market your areas of service, market the problems you solve. Repeat the story of your ideal client back to them. Then tell your own story by sharing your wisdom, and demonstrating that you’re in this together with your clients. 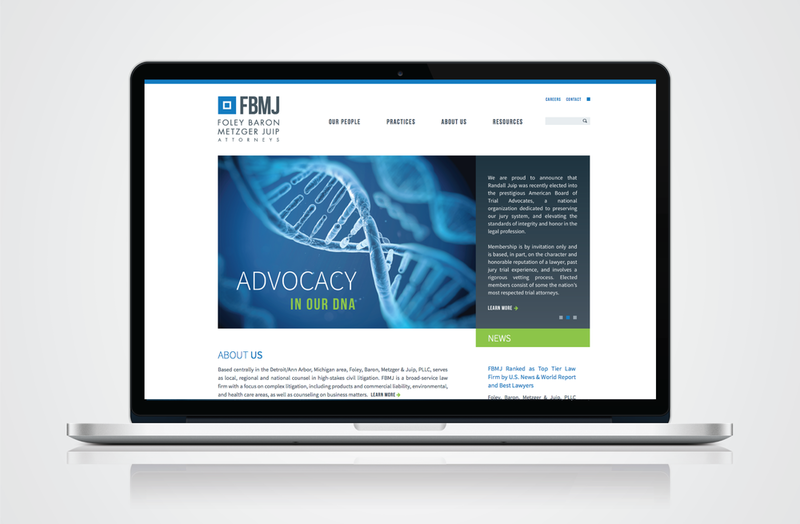 These issues are nuanced, but vitally important to the success of your firm's website. Story, which requires an understanding of audience and key objectives, is the glue that binds an effective website together, and the magnet that attracts others to it. Design is an important storytelling tool. Function is critical, but so is form. Our approach to design is sophisticated and minimalist. William Strunk Jr., in The Elements of Style, urges writers to “omit needless words.” We feel the same way about design. All that is necessary, but nothing more. If it’s part of the design, it must have a purpose. You only have mere moments to grab a website visitor's attention. Both design and copy must come together to tell a compelling story that cuts through the noise. Despite their high price tags, most professional services firm websites are doing little to nothing to capture traffic and convert it into new business. If your website isn’t playing an integral role in generating and nurturing new business leads, then you’re missing out on a big opportunity. We help our clients leverage technology and create systems to both drive traffic to websites (using tools such as content marketing, search engine optimization, and digital advertising), and then turn that traffic into leads. Business development is incremental. It doesn’t happen all at once. Most new business opportunities arise only after sufficient trust between a professional services firm and its prospect has been established, and this takes time. We help our clients overcome one of the biggest challenges of professional services firm marketing, which is the lack of time and resources to consistently engage with prospects. Our law, consulting, and other professional services firm websites incorporate automated marketing systems that work for our clients while they’re busy working for their own. Large professional services firms face a special challenge when it comes to creating a client-focused, lead generating website. With so many professionals, and different areas of specialization, it’s often difficult to create a website with a message that is broadly relevant, but not overly generic. We help large firms create a blueprint for an effective website, which includes working to craft a compelling, client-focused story that reverberates throughout the site, and strategies to generate “ideal client” traffic. Design, copywriting, technology integration, and SEO then flow from the objectives laid out in the strategic blueprint. There are many variables involved that impact the cost of a large firm website. 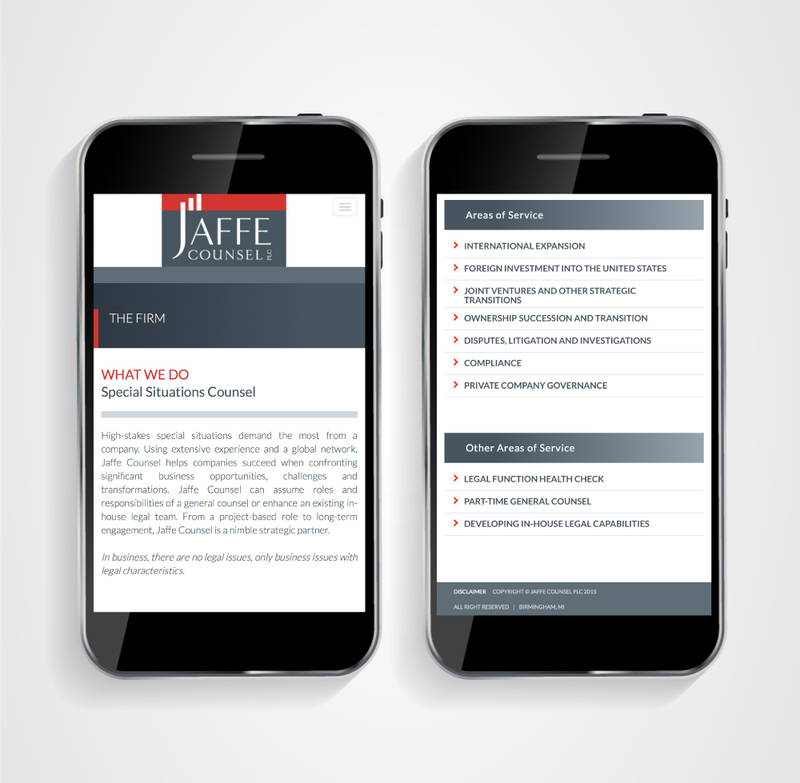 Please schedule a consultation so that we can discuss your objectives and provide you with a customized quote. 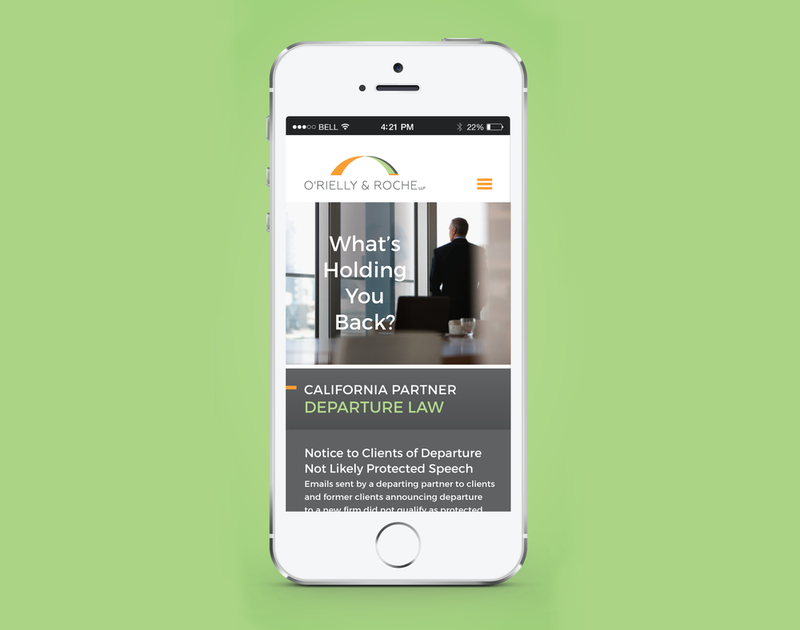 You don’t have to be a big firm to have a powerful website.